Werewolf Live: An Interactive Comedy Show! 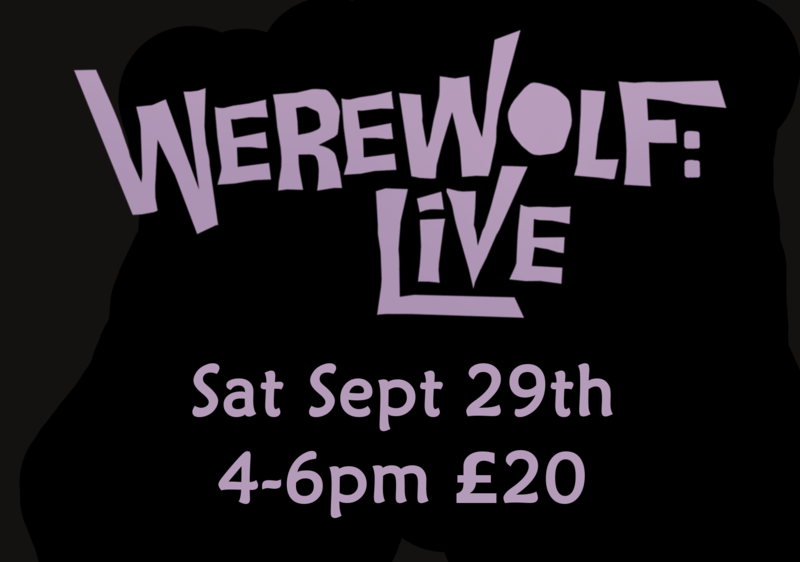 Draughts is pleased to welcome the brilliant and hilarious comedy show ‘Werewolf: Live’ to our Waterloo venue! Hosted by comedian and gamer extraordinaire Jon Gracey, and starring you the audience, this show is an amusing introduction to the legendary deduction based game Werewolf. The village has been secretly infiltrated by some werewolves, whose goal is remain undiscovered, meanwhile the rest of the group are trying to sniff them out. As each night you’ll have to kill somebody off, will you be able to find the furry fiends before they take over? There is no experience necessary to be able to take part, you can simply sit back and watch the lies unravel or join in and be guided through the whole game! Please note: This show will be at our brand new Waterloo location, on our mezzanine, the perfect place for a show like this!